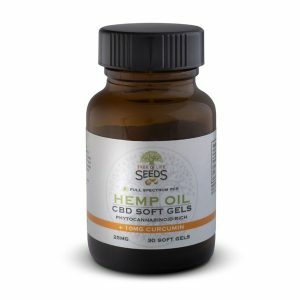 If you’ve been using CBD products and you’ve seen results – or read any of the myriad individual testimonials that are out there – you may be wondering why companies that deal in CBD aren’t more aggressive in touting the medicinal benefits of their products. After all, with all the buzz out there surrounding CBD’s positive effect on everything from achy knees to sleeplessness to mood disorders, why keep it hidden? The simple answer is that CBD companies are prohibited from marketing their products as dietary supplements until science says they can (more accurately, until the Food & Drug Administration says they can, at least in the United States). And because cannabis as a species has been effectively outlawed since the 1930s (and explicitly so since the early 1970s), science has a lot of catching up to do in this regard. A quick history lesson: according to an article in Pharmacy and Therapeutics, a peer-reviewed journal listed in the National Library of Medicine of the National Institute of Health, evidence exists that cannabis was used as early as 5,000 years ago and its earliest documented medicinal use came in 400 AD. But in America, the plant never seemed to get much respect within the medical establishment, written off as mere patent medicine or worse. In 1937 began a series of federal legislation to restrict its use and sale, culminating with its outright ban by the Controlled Substances Act of 1970. Fast-forward to 1996 when California became the first state to permit legal access to and use of “botanical cannabis for medicinal purposes,” i.e., “medical marijuana.” Over the next 23 years, other states followed suit with some taking the extra step to allow recreational marijuana as well. But while things were loosening up considerably, the plant remained a federal Schedule I Controlled Substance and growing medicinal marijuana was tightly controlled by the states. You also couldn’t take it across state lines, medicinal or not. Coming from the same plant family, industrial hemp was lumped under the same categorical restrictions as marijuana. This fact is one reason why there exists little in the way of scientific study into the benefits (or dangers) of CBD oil on a given medical condition. Besides a number of operational complications to such trials, it seemed a fool’s errand to study the benefits of something that was illegal to begin with. The good news is, after all this time, industrial hemp’s star has risen with surprising speed. According to a recent article in Brookings, the 2014 Farm Bill cracked the door for research into the benefits of industrial hemp and the just-approved 2018 Farm Bill kicked it wide open by drawing a line between it and marijuana. Henceforth, growing industrial hemp with less than 0.3 percent THC, the substance that delivers the “high” in marijuana, is as legal as growing wheat. This distinction provides American farmers the greatest freedom yet to grow industrial hemp as a commercial crop, even though it’s still subject to more restrictions than your average cornfield. It also ushers in a whole new era of scientific opportunities to formalize what many consumers have been talking about for some time concerning CBD’s benefits. And science has not wasted any time diving into various studies and drug applications harnessing CBD. In June, the FDA approved Epidiolex, a cannabidiol-based drug used to treat severe forms of epilepsy, the first government-sanctioned medical use for CBD. By the time a New York Times article on the subject appeared in October, the paper reported the National Institutes of Health database listed roughly 150 studies involving CBD as a treatment for conditions from infantile spasms and Parkinson’s disease to PTSD, alcohol use and schizophrenia. For proponents of CBD, both commercial and consumer, the next few years should be intriguing indeed.